Befitting a scrappy, independent political pioneer – in 1978 she was the first Puerto Rican woman elected to a state legislature in the United States – her funeral attracted the governor, the mayor, several members of Congress and countless local officials. She was lauded for many things: her tenacity; her willingness to cross party lines; her embrace of labor, housing and educational rights for the poor. She was eulogized as a loyal friend, a fierce competitor and a proud Puerto Rican. Outside the Church of the Holy Agony, on Third Avenue at 101st Street, beyond the honor guard of construction workers that flanked her hearse, groups gathered by the housing projects to remember La Senadora, and the friends and relatives who got a hand up because of her. Senator Méndez died from cancer last week at age 84. Married into a politically savvy East Harlem family – and possessed of no small measure of education and determination herself – she found her resolve tested in the State Senate, friends said. But she threw herself into her work, giving as good as she got. Just don’t play games with her. Among the politicians attending were Representatives José E. Serrano, Nydia M. Velázquez and Charles B. Rangel; the former Bronx borough president Fernando Ferrer; the city comptroller, William C. Thompson Jr.; and State Senator Pedro Espada Jr. Efraín González Jr., Mr. Espada’s predecessor, who recently pleaded guilty to using $200,000 in state funds for vacation homes and other personal expenses, was also there. Some may have felt themselves in the crosshairs as Gerson Borrero, a fire-breathing columnist and political commentator, delivered his eulogy praising Senator Méndez. Outside, there was a plainspoken pride among the construction workers who sweated for the duration of the Mass. The plain setting for her funeral was fitting: not the marbled St. Patrick’s Cathedral – though she was well-connected enough to have had her service there – just the simple linoleum tile and plywood walls of Holy Agony, where she had been a loyal parishioner since the 1950s. Opened in 1953, it was built for the Puerto Ricans settling in El Barrio – old timers said it was the first local church where they celebrated in the main sanctuary, not hidden in some basement. In the days before the funeral, friends recalled Senator Méndez, too, as visible and approachable. She asked about your children and treated you like family. She relished telling stories with a mischievous smile and a raspy voice. And she was fiercely Puerto Rican – not Latina, not Hispanic. Ms. Quinones remembers when she finished law school and Ms. Méndez asked her if she wanted to become a judge. “To get me out of the way,” she said. Others noted that while she had sharp political instincts, they were further honed when she married into the Méndez family, whose patriarch, Antonio Méndez, was the first Puerto Rican district leader in Manhattan. Her mother-in-law, Isabel, was equally political. The two women were just as devoted to Holy Agony, staying active and donating statues to the church over the years. An urn with her ashes was set before the altar, flanked by the United States and Puerto Rican flags. Two state troopers stood smartly on either side. The Rev. Victor Elia did the final blessing, and people applauded as the urn was carried to the waiting hearse for burial in the Bronx. Outside, under a glorious sun, a group of elderly women broke into song as the hearse prepared to leave. Wrapped in the Puerto Rican flag, they intoned Rafael Hernandez’s “Lamento Borincano,” the unofficial anthem of Puerto Rico. It is a song about hardship, hope and heartbreak. It can never be sung without tears. Herman Badillo has dropped a bombshell on his fellow Hispanics – charging that too many are mired in poverty because they don’t value education. “Hispanics have failed to assume responsibility for their children’s welfare . . . Hispanic parents rarely get involved with their children’s schools. They seldom attend parent-teacher conferences, ensure that children do their homework or inspire their children to dream of attending college,” he adds. Badillo writes that many Spanish-speaking immigrants are hard workers, but that to get their children to move up the economic ladder would require a cultural shakeup of sacrifice and “self-improvement” by putting education first – as Asian and other U.S. immigrant groups have. Hispanics can no longer rely on schools and the government to do it for them, he writes. He further blames “self-segregation” – not discrimination – as a major impediment to progress for many Hispanics. Instead of focusing on assimilating into the American fabric, he writes, too many view themselves as aggrieved minorities. “Having gone along with such characterizations, some Hispanics behave as if they actually were a persecuted ethnic group, with a permanently diminished capacity for success,” the controversial autobiography says. Hispanic immigrants would be better served by embracing the American ideal of “one nation, one standard,” Badillo adds. Badillo, 77, says his own rags-to-riches story proves that the poor – including Hispanics – can become successful. Orphaned in Puerto Rico, he came to the mainland as a boy knowing no English and went on to become the city’s first Puerto Rican borough president, in The Bronx, as well as a congressman, top adviser to three mayors, and CUNY chancellor. Bronx Democratic leader José Rivera blasted Badillo’s comments as a “total insult” to Latino parent- advocates who fought for decades to get the city to better educate their kids. “This is unfair. You cannot write a book blaming the victim,” said Rivera. Instead, Rivera blamed Badillo for educational shortcomings of Latinos – because Badillo held city leadership positions overseeing education under Mayors Rudy Giuliani and Ed Koch. “He was part of the system that miseducated our children for many years. We are constantly being shortchanged,” Rivera said. Herman Badillo is a true leader who doesn’t flinch from expressing difficult truths. His own amazing story provides inspiration and the moral authority that allows him to advocate hard choices for American Hispanics. He provides nourishment for intelligent people who call themselves liberals and equally intelligent people who call themselves conservatives. I call him brilliant. The greatest lesson of Herman Badillo’s story is that the genius of American life—the upward ladder of opportunity that American freedom at its best provides—is better at solving most any problem than any government program. Herman’s recollections on a host of important national issues, described and discussed in One Nation, One Standard, are fascinating. It is a wonderful read. Why aren’t Hispanics succeeding like Asians, Jews, and other immigrant groups in America? Herman Badillo’s answer is as politically incorrect as the question: Hispanics simply don’t put the same emphasis on education as other immigrant groups. As the nation’s first Puerto Rican–born U.S. congressman, the trailblazing Badillo once supported bilingual education and other government programs he thought would help the Hispanic community. But he came to see that the real path to prosperity, political unity, and the American mainstream is self- reliance, not big government. Now Badillo is a champion of one standard of achievement for all races and ethnicities. * Why Hispanic culture’s trouble with education, democracy, and economics stems from Mother Spain and the “five-hundred year siesta” she induced in Latin America. * Why the Congressman who drafted the first Spanish-English bilingual education legislation now believes that bilingual education hurts students more than it helps. * Why “social promotion” — putting minority students’ self-esteem ahead of their academic performance and then admitting them to college unprepared — continues to this day, despite the system’s documented failures and injustices. * How self-identifying as “Hispanic” or “white” or “black” undermines achievement, and what lessons we can learn from Latin American countries, where one’s race is irrelevant. With Central and Latin America exporting a large portion of their poor, Hispanics are on the way to becoming a majority in the United States… but one with all the problems of a minority culture. Badillo’s solution to this problem relies on traditional values: hard work, education, and achievement. His lessons are important not only for Hispanics but for every American. 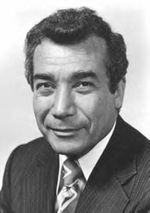 Herman Badillo was the nation’s first Puerto Rican– born congressman. He also served as the borough president of the Bronx, deputy mayor of New York City, and chairman of the board of the City University of New York. Currently he is a senior fellow at the Manhattan Institute.